When Florida neighborhoods were being developed during the early 20th century, garages were commonly built behind the quaint bungalows with details that matched the main home. Many of these early outbuildings survive today, but many more have been demolished with only concrete slabs remaining in the backyards or newer structures replacing them. 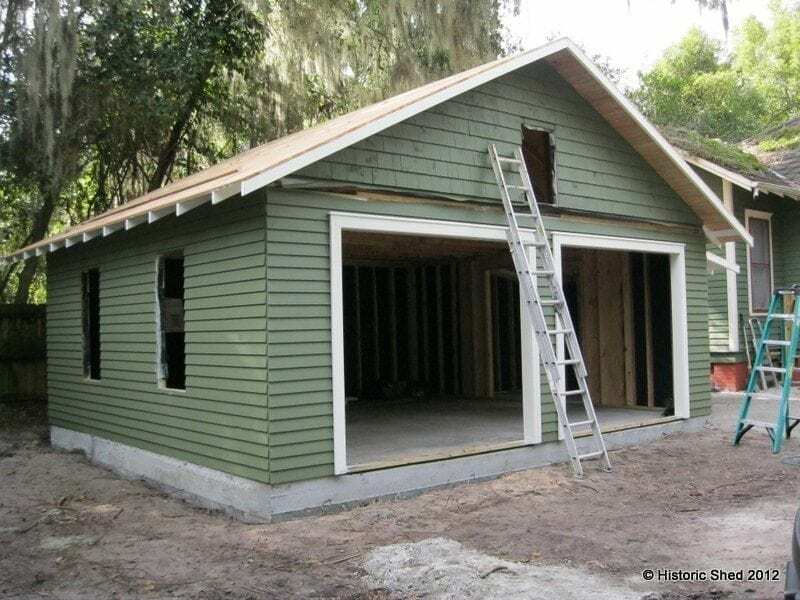 At our most recent project in the Duckpond Neighborhood in Gainesville there was an existing metal garage behind the c. 1913 home, most likely built in the 1950s, that was too small to house a car and a hazard to anyone who touched the rusty edges. 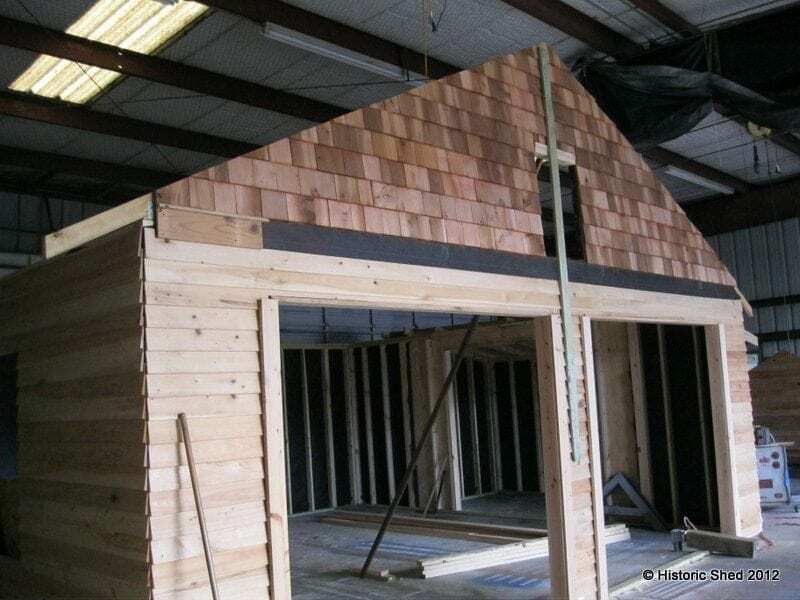 Historic Shed was hired to design and build a new custom gable roofed garage with a side workshop in a style that might have been built contemporary with the main house. The detached garage we designed reflected elements from the main house including the roof slope, shingled gable end, gable end vent, exposed rafter tails and siding. 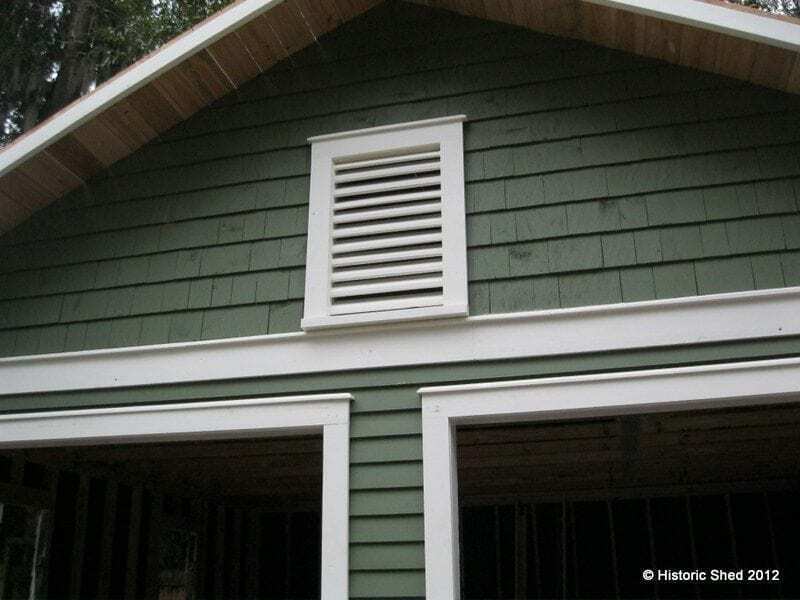 The design was reviewed and approved by the Gainesville Historic Preservation Review Board. 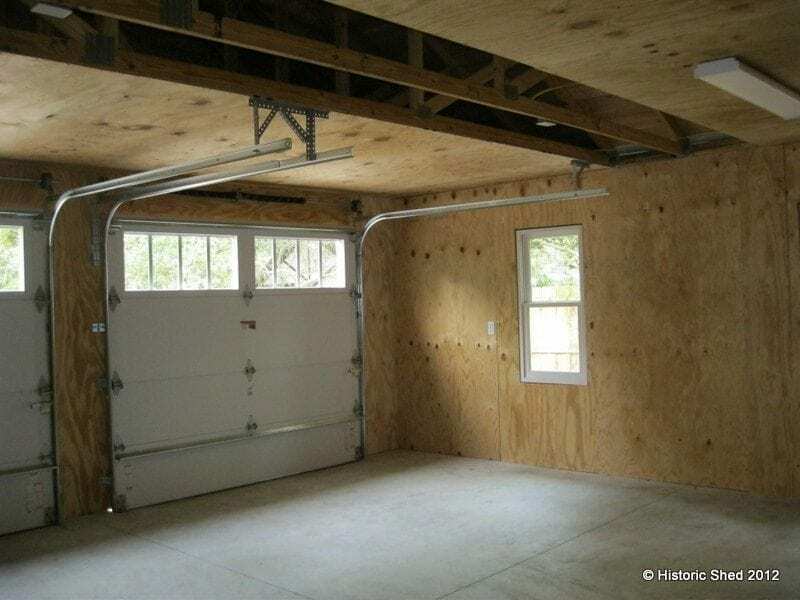 The interior of the garage was finished with plywood for added strength. The roof is framed with attic trusses allowing extra storage. Many thanks to the Gainesville Door Company for the garage door installation, JAM Construction for installing the concrete slab, and Archer Electric Service. Thank you so much! At the moment, we do not sell our plans, but are considering joining with an online plans sale company. If we do, we will make the announcement in our e-newsletter and our Facebook page. Who manufactures this garage door? hey bob thames. they’re coming to my house tomorrow to start installing my art studio shed. yay!